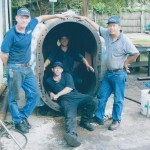 We are here to provide you with waste water blower repairs in Orlando, FL to ensure your treatment plant stays active and efficient at all times. In conventional wastewater treatment plants, millions of organisms feed on the waste coming in. When this occurs, the organic waste is broken up into nitrogen gas, water, and carbon dioxide. Since these bacterial organisms need oxygen to survive, air is blown into the treatment tanks. If the blowers that complete this process malfunction or fail to work properly, the efficiency and overall operations of a wastewater treatment plant will be heavily compromised. At Pat’s Pump & Blower in Orlando, Florida, we are here to provide you with waste water blower repairs to ensure your treatment plant stays active and efficient at all times. We realize that while the blowers at your treatment plant may stop working, the need to have wastewater treated quickly will not. To combat this challenge, our waste water blower repairs are available to you at any time of the day or night. If you notice that one or several of your blowers has stopped working suddenly, don’t hesitate to give us a call. We can come to where you are located, analyze the problem, and repair your blowers before any extensive issues occur. When you turn to us for waste water blower repairs, customer service is our main priority. We won’t stop at anything to ensure you are completely satisfied with working with us. To find out more about our waste water blower repair services, or to schedule a time for us to come and perform repairs, give us a call at Pat’s Pump & Blower today.